The introduction of Damages Based Agreements (DBAs), which will allow solicitors to advise clients at the outset what fixed percentage of their damages will be taken as fees on the successful conclusion of their case, providing greater certainty to clients about what they will need to pay their solicitor. The application of the concept of Qualified One Way Costs Shifting (QOCS) to Personal Injury claims in Scotland, which will limit an injured party’s liability for his opponent’s expenses in any court action. New Group Proceedings procedures, which will allow two or more parties (e.g. multiple people injured in one accident) to share the burdens associated with court proceedings and will allow the procedure in relation to those claims to be streamlined. Part 1 of the Bill deals with Success Fee Agreements (SFAs). A traditional SFA in this context is an agreement between a solicitor and a client who is looking to pursue a civil claim whereby, ordinarily, no upfront costs will be charged to that client but the client will require to make some form of payment to the solicitor on the successful conclusion of their case. Normally that payment will be deducted from any monetary award that the client obtains in connection with their claim. So what significant changes to SFAs are introduced by the Bill? Currently there are certain specific restrictions on what fees can be charged under an SFA. As a result, SFAs will frequently include reference to the solicitor’s yet to be determined account of expenses in calculating what percentage will ultimately be payable by the client. This is clearly unsatisfactory and Sheriff Principal Taylor, in his report, criticised the lack of clarity and certainty that this affords individuals. Accordingly, he recommended the introduction of Damages Based Agreements (DBAs), whereby solicitors are able to say to their clients at the outset what fixed percentage of their damages will be taken as fees on the successful conclusion of their case. The new Bill incorporates these recommendations and DBAs will soon become commonplace in Scotland. 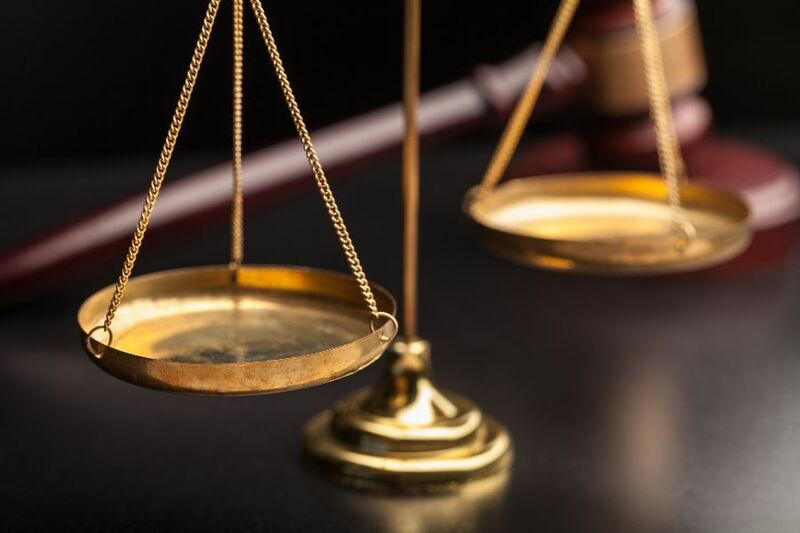 This change in the law will provide greater certainty to clients who, from the outset of their claim, will be able to know precisely what percentage of their damages will be taken as fees at the conclusion of their case. The change towards greater clarity must be a welcome one. The Bill secondly addresses the issue of expenses in civil litigation and applies the concept of Qualified One Way Costs Shifting (QOCS) to Personal Injury claims in Scotland. Before discussing what the effect of QOCS is, it is worthwhile considering why it was introduced in the first place. At present, the general rule applying to civil claims in Scotland is one whereby expenses follow success. Accordingly, if an injured party succeeds in their claim then their legal team will be entitled to recover their expenses from the party found to be at fault. However, if that party successfully defends the action, and no award of damages is awarded, then that party’s legal team will generally be entitled to recover their expenses from the injured party. Sheriff Principal Taylor came to the view that the prospect of being found liable for expenses acts as a significant deterrent to injured parties contemplating whether or not to raise civil proceedings. Such a risk is one that all advisers ought to draw to their client’s attention prior to the raising of an action. It is accordingly, something which enters that client’s mind at the very outset of the action. For some, the concern about such an adverse finding will discourage them from proceeding with their claim at all. For others, the concern will stay with them throughout the litigation and may cause them to settle their claim at a figure far less than what they otherwise may be entitled to. This is clearly unsatisfactory. Justice demands that where A has been injured as a result of B’s negligence, A ought to be entitled to recover from B any losses sustained arising from that negligence. If A is deterred from seeking redress for his injuries due to some external factor – here being a potential adverse finding of expenses – then that external factor must be considered a barrier to justice. The concept of QOCS seeks to redress the financial imbalance that exists between parties and remove the significant financial risk to individuals who are seeking compensation for their injuries. It does so by seeking to tilt the scales in favour of the injured party, subject to certain conditions being met (the Qualification in QOCS). The scales are tilted by limiting an injured party’s liability for his opponent’s expenses in any court action (One Way Costs Shifting). Sheriff Principal Taylor endorsed the concept in his report and recommended its introduction in Scotland. The Scottish Ministers followed suit and the Bill now provides that so long as the injured party conducts the court action in an “appropriate manner” then the court “must not make an award of expenses” against them. As a general principle, the introduction of QOCS ought to be welcomed as bringing about a significant step towards equality of arms in Personal Injury litigation. There will likely require to be some further rules introduced in relation to certain particular circumstances, however, subject to those further rules, no longer will injured parties require to weigh up the financial risks of raising an action where they may have a genuine claim for damages. Providing that such individuals remain honest and listen carefully to the advice being given to them by their advisers then there ought to be no concern on their part about becoming liable for expenses. It is worth briefly mentioning one final change brought about by the Bill. Part 4 of the Bill gives rise to the possibility of raising Group Proceedings. A similar procedure has been available in England for a number of years and enables two or more persons who have claims which raise the same or similar matters of fact or law to come together to raise a single Court Action. An example of when this may be appropriate would be where multiple parties are injured in one accident. It may be that the individuals were travelling together in a vehicle when it was struck by another. At present, it would be necessary for separate court actions to be raised, by each of the individuals, against the negligent driver or their insurer. Each of these court actions carry their own costs, procedures and risks. The new Group Proceedings procedure will allow parties to share the burdens associated with the court proceedings and will allow the procedure in relation to those claims to be streamlined. This brings about another means of reducing risks and costs to individuals who may otherwise be discouraged from raising court proceedings. This change is one that is long-overdue. No date has yet been fixed for when this Bill is to become law and there is no doubt there will be some further regulation and secondary legislation to follow before it is implemented. Nonetheless, the Bill should be hailed as bringing about a number of positive changes promoting access to justice, particularly for those claiming compensation for injuries, and seeking to address the financial imbalance between parties in civil litigation. The changes in relation to Success Fee Agreements most importantly provide certainty to clients in relation to what they will require to pay their solicitors. The introduction of Group Proceedings aims to bring about a more streamlined and ultimately less costly procedure for dealing with claims that may otherwise require to run concurrently. Most significantly, however, the introduction of QOCS will bring about fundamental changes to the way that the issue of expenses will be determined in personal injury litigation and this will undoubtedly impact upon the manner in which cases are litigated going forward. The full impact of these changes will become clear over time, however, what is clear is that these changes will bring about a shift towards a justice system which is fairer to those who require to rely upon it.